John Herbert Knibbs, 55, of Polyanthus Drive, Sleaford, failed to attend Lincoln Magistrates Court on Monday for sentencing on what also happened to be National Dog Fighting Awareness Day. His co-defendant, Kimberleigh Joanne Steele, 30, also of Polyanthus Drive, Sleaford, had also been convicted in her absence at an earlier hearing of two offences under the Animal Welfare Act and Dangerous Dogs Act, but this time returned from Ireland to hear she would not be jailed. Ms Steele was disqualified from keeping dogs for five years, given a 16-week prison sentence suspended for one year, ordered to pay costs of £500 and a victim surcharge of £115. The magistrates commented on the ‘overwhelming evidence’ of her involvement in the case, and the serious nature of the offences, and that if she was not responsible for a young child, she would have been sent to prison. Steele was found guilty of being jointly concerned with John Herbert Knibbs, also known as John Donaghy, for the possession of a pitbull terrier type dog at her home address, banned under Section 1 of the Dangerous Dogs Act 1991. Steele was also found guilty of assisting, or allowing, Knibbs on and before November 2, 2017 in Sleaford and elsewhere to keep a number of dogs that were in breach of a 10-year disqualification order banning him from keeping dogs under the Animal Welfare Act 2006 issued by Grantham magistrates on May 18, 2009 after a dead dog was found at his home. 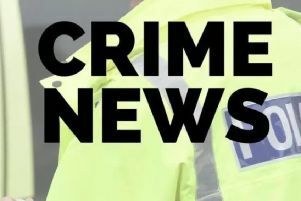 The pair’s sentencing is in connection with a major RSPCA investigation into dog fighting in Lincolnshire and Wales. Lincolnshire Police with RSPCA officers executed warrants at three properties in September and December 2017, in which a number of dogs were removed and five people were arrested and charged, but Knibbs is since believed to have left the country. Knibbs was previously convicted in his absence of a number of allegations under the Animal Welfare Act including keeping and training dogs for fighting, ear cropping and causing unnecessary suffering to a dog. Charges included possessing a fighting dog in Anglesey, and in Sleaford, causing unnecessary suffering at Bloxholm to bull terriers Baddy and Panther by failing to get veterinary care for the dogs’ injuries and possessing a flirt pole and break stick used during dog fights. If anyone knows Knibbs’ whereabouts call 0300 123 8018, or call the police.